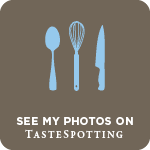 This October, SNC completed a year in this blogging world and as a celebration we were challenged to cook any one recipe among the 12 challenges that had been posed in the past 12 months. 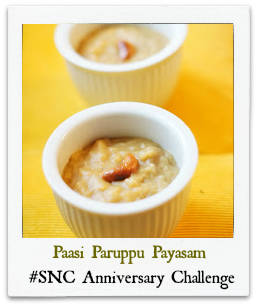 While I have cooked my way through all the challenges since March, I hadn't written about Paasi Paruppu Payasam. In the North Indian lingo, Paasi Paruppu Payasam would be called Moong Dal Payash or Moong dal Kheer. In the west, a dessert such as Payash or Kheer will probably be labeled as a sweetened porridge. Though North Indians use lentils in sweets such as a moong dal halwa, preparing kheer with lentils is relatively uncommon. They typically prepare their Payash or Kheer by boiling rice or suji (semolina) with milk and gur(a form of jaggery) or sugar and flavor it with cardamom, raisins, saffron and cashews. So for us, this kheer with lentils was quite a departure from the usual. We however enjoyed it thoroughly and I certainly look forward to making it again during festivals and special occasions. Wash the dal and rice and keep it aside. Mix the grated coconut and cardamom powder and keep it aside. Put the blocks of jaggery into a paper bag. 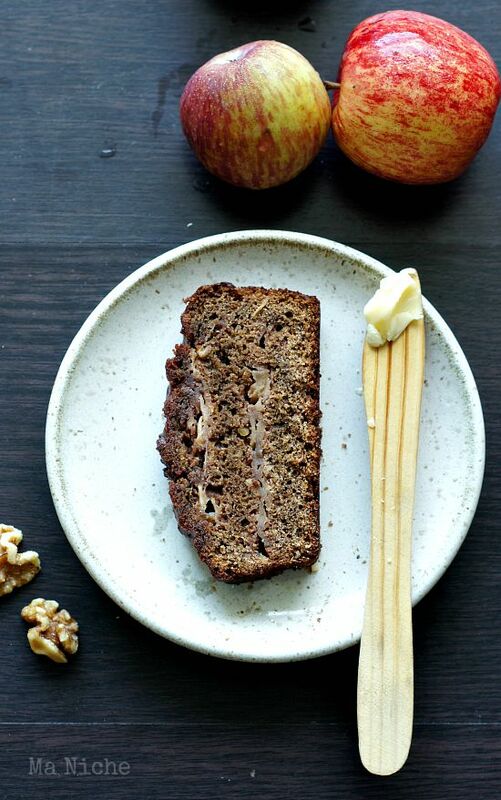 Crush it into smaller pieces using a meat tenderizer, hammer or wooden rolling pin. Then using the blender, grind the jaggery pieces into a fine powder. Next add the moong dal and rice in a pressure cooker along with 2 cups of water and pressure cook for 2- or 3 whistles until the dal is properly cooked. Switching off the heat, wait till the lid of the cooker drops. Then mash the dal-rice mixture and stir in the milk. Now switch on the heat once again and cook the contents over low flame. With the added milk the consistency of the dal should be fine, but if you find it too thick add some water to the mixture at this point. Once the mixture begins to simmer, stir in the jaggery and coconut mixture. Check the sweetness and add more jaggery if the payasam is not sweet enough for you. Stirring frequently continue to simmer the mixture for another 4-5 minutes. Meanwhile in a separate pan, melt 1 tablespoon of ghee and add the cashews in it. Once the cashews turn brown, add them to the payasam. Switch off the heat. Your Paasi Paruppu Payasam is now ready to serve ! With time, the payasam tends to become more thick. If it thickens too much, add some milk or water and heat it slightly before serving. Congratulations Divya for successfully running the South Vs North Challenge for the past one year and happy 1st anniversary to all the members of SNC !! Its been wonderful cooking and learning with all of you . Hope we continue to learn and cook many more wonderful south dishes in the years to come and celebrate many such anniversaries together ! My Legume Affair Event, an event started by Susan of the Well Seasoned Cook, presently managed by Lisa of Lisa's Kitchen and hosted this month at Spicy Foood. What a great sounding dish!